The Chicago Blackhawks traded up to select forward Niklas Nordgren. 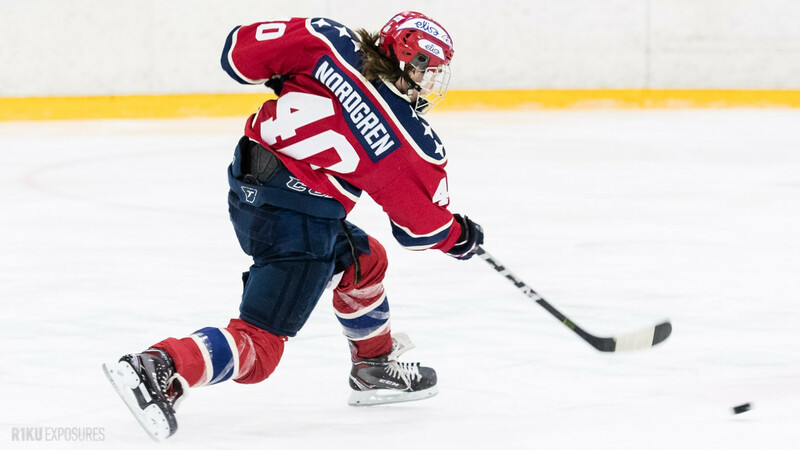 “Nordgren is a highly skilled playmaker who was excellent at the junior ranks, putting up good numbers in Finland, and was very good with the Finland U18 team in international play. He is always looking to make a play, has a great understanding of how to create offense, has the touch to pull off difficult plays and can be a QB from the side boards on the power play. His vision and puck skills are both great, with the ability to be a primary creator of offense and excel on the man advantage. At times he can try and make the extra play, but you take that occasionally for all the offense he creates. His skating is worrisome for a 5-foot-9 guy, which keeps me from getting him to the higher tiers, but it still grades as average, and given how hard he hustles, he gets up the ice reasonably well. I also wouldn’t classify him as a highly physical guy, but he works and I’ve seen him be competent on the PK as well. He’ll need time to bulk up, but he has a ton of upside. Blackhawks trade up and grab my best player available Niklas Nordgren. Absolute sniper. Eight goals at the U18 worlds to help lead Finland to gold. Skating needs some work, but the kid knows how to get to the scoring areas and has a great shot. Ranked 34 on my board. The #Blackhawks have traded picks 87 and 142 to Arizona in exchange for pick No. 74. Continuing on his plan of getting what he believes are best skill and finesse player available. Hope he makes it to NHL. But — LOVE the two-3rd round picks!!! Jett Woo would have been a great choice to go with last year’s pick Parker Foo. Get his brother Spencer. Resign Jordan Tootoo. Get Jonathan Cheechoo out of retirement. This guy is under 190 he will not be good. Terrible waste of decision making. Small and skilled. Fits the hawks style. Seems to be a nice value pick. Let’s see how he develops in a few years. Steal. Much like Tim Soderlund last year.